The timeless beauty and versatility of pearls make them an ideal choice of wedding jewellery, with a classic style that can complement any dress. Not only will you have a beautiful and wearable reminder of your big day, but as pearls photograph so well, you are guaranteed some incredible pictures to cherish too. 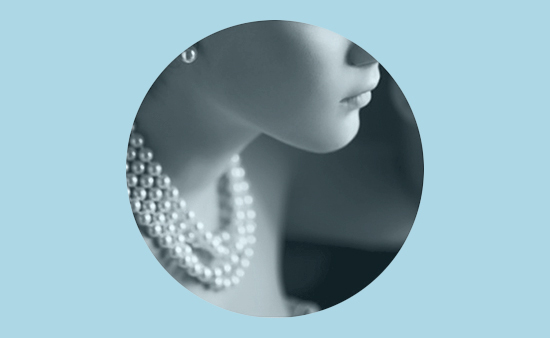 There are several factors you may wish to consider when selecting your pearls to ensure they provide the perfect finishing touch. As your dress should be the main event, a ‘less is more’ approach such as with a classic Akoya pearl necklace would be wise to follow when it comes to your jewels. There are some simple rules that are best to keep in mind. If you are wearing an elaborate headpiece, you may need to forgo wearing a necklace. But if your dress has a simply cut style, then you can be a little more daring with your jewellery. Before deciding on the type of pearl to wear, you need to establish which pieces of jewellery will work best with your dress. 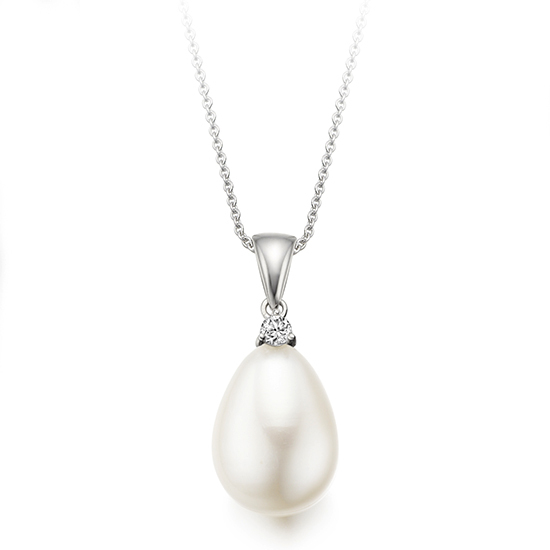 A short pendant or string of pearls will complement a sweetheart neckline. And while there is plenty of bare skin to play with, it is best to avoid longer chains which may lessen the impact of this stunning bridal shape. Choose a necklace of between 42 and 45cm in length. 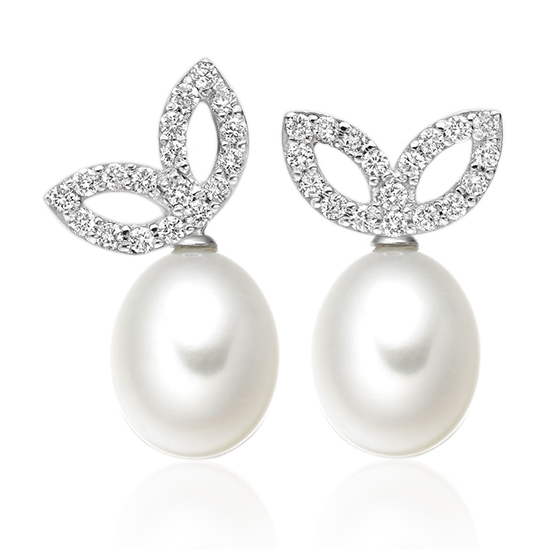 Combine with matching earrings, or if you decide against a necklace entirely, go for more striking statement pearls for your ears, such as the Lief Enchanted Earrings in White Gold and Freshwater Pearls, designed by Alice Cicolini. Arguably the most versatile of necklines, strapless dresses can carry almost any type of jewellery. While you can keep things simple with a subtle pearl choker, this neckline also offer the opportunity to go for bolder earrings or a chunkier necklace. This neckline is perfect for pendants. 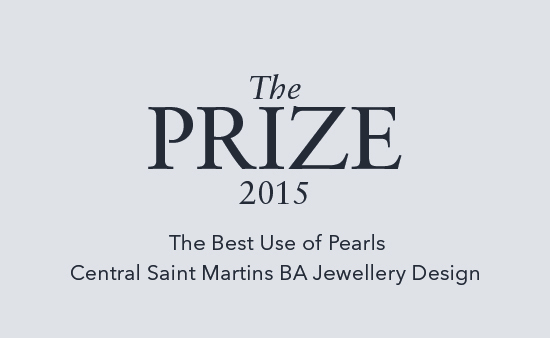 Choosing a freshwater pearl combined with a diamond will see you exuding bridal chic. Alternatively, this shape also lends itself to the classic charm of a double strand or looped long pearl necklace. 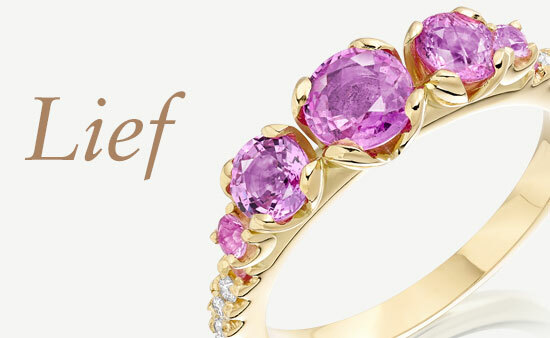 It’s also important to consider the shade of your dress when choosing your gems. Freshwater pearls are a dream match for ivory and cream wedding dresses, while Akoya pearls will complement a white gown. 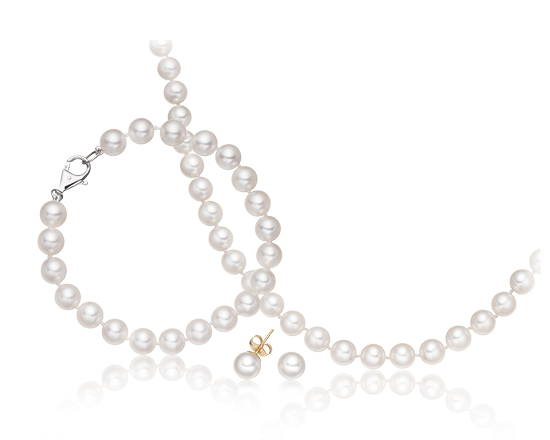 Ivory and cream dresses can also be lifted by the golden tones of South Sea pearls. If your dress is of a bright white hue there’s a chance gold embellishments will clash, so go for pearls set on white gold or platinum. Off-whites work with both gold and silver tones, while gold jewellery can make the most of yellow undertones in ivory and cream gowns. Depending on your colour scheme, your jewellery offers a perfect opportunity to elegantly work in your ‘something blue’. 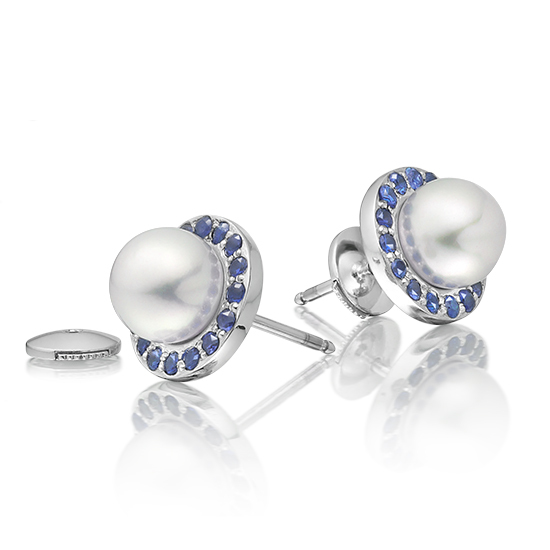 Blue Sapphire Stud Earrings in White Gold with Akoya Pearls offer the perfect lift to a stunning bright white dress, while Sophie Breitmeyer’s Blue Sapphire and Akoya Pearl Pendant could add an ideal modern twist to a vintage inspired dress. Discover more about buying pearls and choosing jewellery by reading our expert guides, or view the wedding collection here.